Contamination – How the ‘C’ word can put the fear into anyone. A guest post from Daniel Grey, a Chartered and European Geologist with an interest in the investigation and remediation of land and water pollution. He has worked in this area for a Non-Governmental Organisation, Local Authority and the Private Sector. Land contamination can be a source of deep public concern. It’s understandable, with trigger words such as ‘asbestos’, ‘lead’ and ‘toxic’, and highly publicised cases where harm, up to and including death, are known to occur. Most readers will have heard of Erin Brockovich­­1, probably through the film starring Julia Roberts2, even if they don’t immediately recognise the words ‘hexavalent chromium’3 and ‘Hinkley’4. Similarly, the relatively recent Corby case5, where it has been argued that birth defects occurred as a result of works on the land that housed the nearby closed Steelworks creating airborne pollutants, received a lot of media attention. Corby is a case that every scientist, lawyer and town planner should read thoroughly. But how common are cases like these? One thing that I must get out of the way from the very start is the importance of the difference between the terms “land contamination” and “Contaminated Land”. I capitalised Contaminated Land for a very specific reason; it has a legal meaning and associated definition. 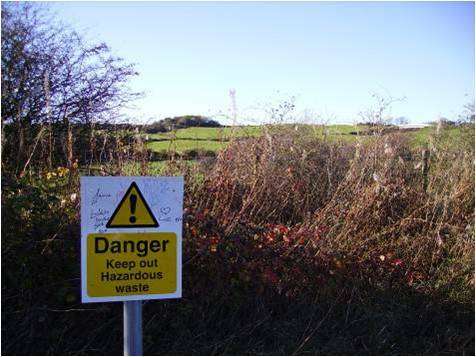 Contaminated Land is land which has been fully investigated and as a result been found to pose harm, or significant risk of harm, to the environment or human health. That is a gross over simplification, but is essential that when discussing land contamination that the legal terminology is never used in the wrong context. Classification as ‘Contaminated Land’ brings with it a catalogue of regulation and legislation. I have spent many hours arguing across tables and writing missives trying to explain why a site is not Contaminated Land, in the legal sense. Naivety, or confusion over the terms being used interchangeably, can lead to incorrect terminology in a report. Classing land as Contaminated Land introduces a whole gamut of regulations and unpleasantness. It is far easier to call it land contamination, thus eliminating the issues in the first place. This is especially important when the public, or those who don’t have in depth knowledge of the subject, are involved (including regulators and the media). Photograph 1 is perfect evidence of why we should always be careful; a sign that simply states “Danger, Keep Out, Hazardous Waste.” A further notice explaining the risk (in this case sheet asbestos) would have been preferable. As it stands people were concerned that the ‘hazard’ could migrate from the site and ‘get them’. The reality is, cases like Hinkley and Corby are not only rare; they are exceptional. 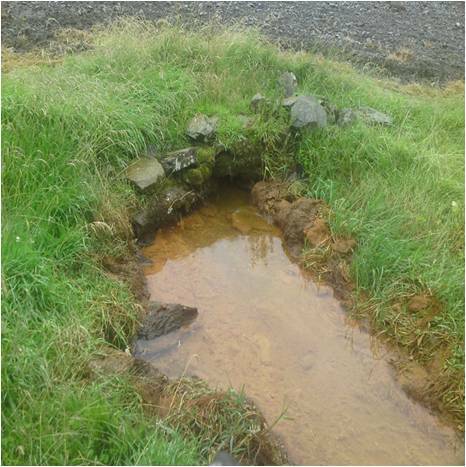 Photograph 2 – Landfill leachate wiped out much of the life in this watercourse but it would only be a risk to humans if they drank it. Image Author’s own. Usually, the risk from land contamination is to the environment, be it groundwater, ecology or surface waters. It is rarer to find land that is a risk to human health. When such risks do occur, they often require an ‘unusual’ contact situation. For example, it is not that unusual to find carcinogenic polycyclic aromatic hydrocarbons (PAH) in old ground coverings made with coal tar. This was a common practice and includes things like roads, car parks, playgrounds et cetera. These are things that we walk on, or maybe lie or crawl on depending on age. What we don’t do is eat them or take pieces home and cook/burn them to release the PAH which is bound within the overall matrix. On paper, a good risk assessment will clearly state that whilst there is a risk from the hard ground covering it is very unlikely to pose a risk to human health unless disturbed and poses minimal risk if left in situ. There are many contaminants and contamination sources where this applies. Think of copper pipes in the home – a high level of copper can cause severe issues if consumed, but I have yet to hear of anyone consuming domestic water pipes. It cannot be denied that in some circumstances land contamination poses a real risk to human health. In these cases, the public must be informed not just of the facts but also of the premise behind risk assessment. Most importantly, they need to know how it affects them personally. Most concern and confusion results in the omission of this last step. It is not unusual to find that someone who was initially in panic mode after hearing ‘contamination’ is reassured when it is explained what exactly it means to them. Equally, when land poses a risk to some other receptor, the public should be informed what that means and why they are not at risk. Again, I draw on copper as an example; a small amount in the aquatic environment is far more dangerous to invertebrates than humans. The concentration that would cause negative effects in a human is a significant order of magnitude larger than what would have already wiped out many types of aquatic life. If there is a lack of sufficient understanding of the risks of contamination, it is up to us as professionals to explain ourselves clearly and convey the concept of risk. 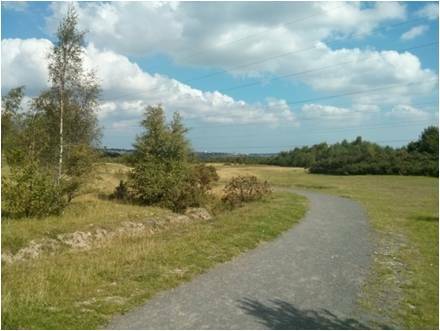 Photograph 3 – A former landfill, now a nature reserve widely used by the public. Boards explain the former use and how the risk is minimal, providing you don’t go digging! Image Author’s own. That is far from an easy task and certainly isn’t something that can be done on a short timescale. What would help, however, is the use of correct terminology and detailed explanations in reports as to what various measurements and findings mean. 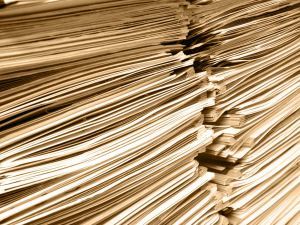 In this era of free and open information it must be assumed that every report, letter, email and phone call can, and will, be read by a lay person. We have to ensure panic isn’t caused by lax wording – or worse, the assumption that everyone knows as much as you think you do! Tags: communication, contaminated land, environment, geography, geology, hazards, media, water. Bookmark the permalink.